Simondium is situated between Paarl and Franschhoek amidst the towering Simonsberg Mountain. It is here were Plaisir de Merle is located at the foot of the Simonsberg Mountain’s east-facing slopes. Plaisir de Merle is one of the largest wine farms in the Western Cape at 974 hectares with some 400 hectares under vine. The remaining hectares are largely left untouched, preserving the indigenous biomes of plant and animal life. The area’s diverse terroir experiences an interchange of climatic conditions which allows for wet winters and warm summers. 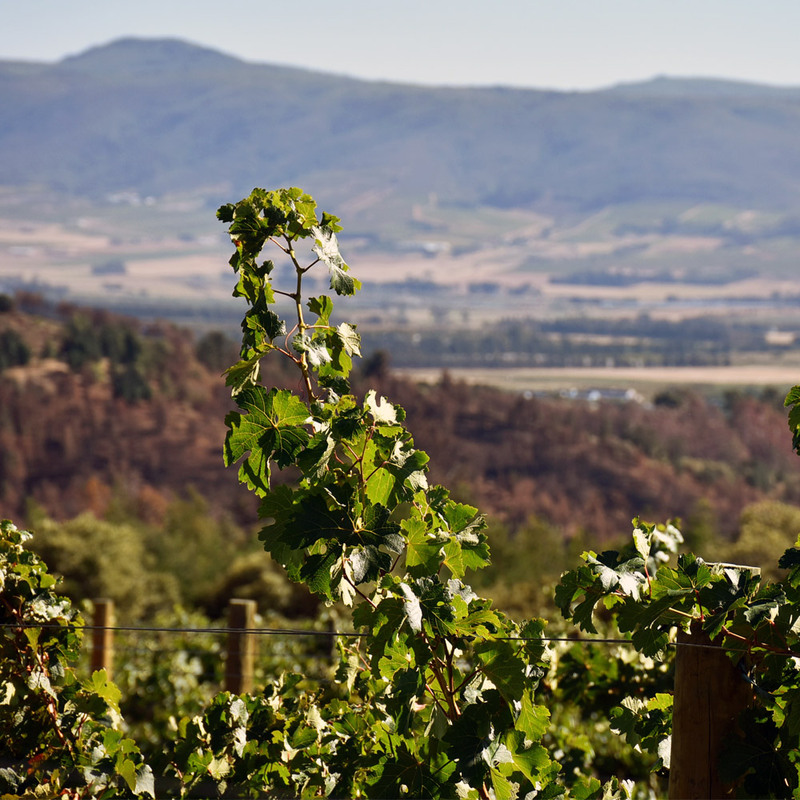 The slopes have well-drained weathered granite soils (predominantly Tukulu and Hutton) with excellent water retention, slowly releasing enough water during the growing season to optimally ripen the grapes. 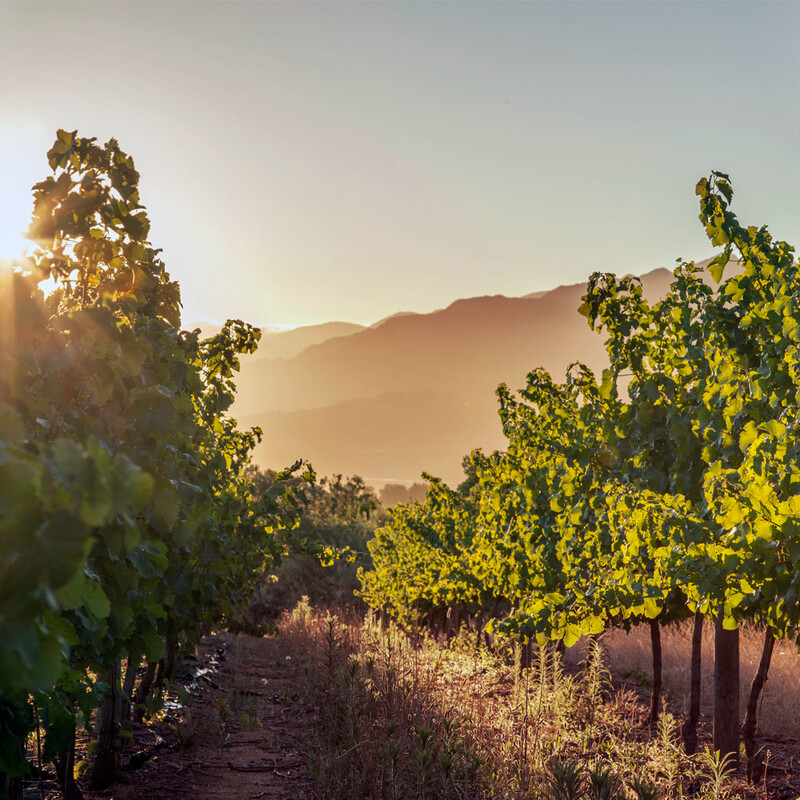 Plaisir de Merle holds the coveted status as a Conservation Champion of the WWF (World Wide Fund for Nature) and is one of only 38 farms in the Cape wine industry to receive such an accolade. The grueling yearly auditing process includes measurement on the farm’s clearing of alien vegetation, research and documentation of natural environment, fire as well as river management, erosion control, water management and energy usage. Plaisir de Merle provides a sanctuary for local wildlife and threatened vegetation communities. The farm nurtures a spectrum of ecosystems from riverine and wetland, to natural vegetation corridors which support a wealth of diversity in plants, insects, bird and small mammals. It was in 1990, when the farm manager at the time, Freddie le Roux, initiated alien clearing operations on the farm in an effort to restore sensitive areas to their natural state and promote conservation. Dominant fynbos species found on the farm which requires protection and in respect of which conservation efforts are made are Boland Graniet Fynbos and Kogelberg Sandsteen Fynbos. In addition to these, there is also Renosterveld and various sections of natural fynbos, for example, Daschbosch against the mountainside. Rivers and wetlands are priority areas and the farm ensures that these aquatic zones are maintained in their natural state so as to serve as a natural habitat for fauna and flora. Restoration through the planting of indigenous vegetation takes place along the natural corridors on an annual basis to ensure the optimum functioning of these important ecosystems. In addition, the farm plants indigenous trees and other vegetation on an annual basis in riparian zones in consultation with the Simonsberg Conservancy. The farm in conjunction with Cape Nature has installed camera traps which document and record wildlife. The Cape leopard, honey badger, buck, barn owl, otters, mongoose, and caracal are but a few of the fauna to be found on the farm. In addition, sightings of insects, reptiles, and amphibians are recorded as well as an updated bird species inventory. The national bird of South Africa namely the Blue Crane can also be found on the farm which is a special treat as it is classified as a vulnerable and endangered species. Approximately four years ago a rare and iconic protea was discovered on the farm namely the Leucospermum grandiflorum or Grey Leaf Fountain Pincushion/Rainbow Pincushion. Plaisir de Merle is one of a handful of locations where this iconic species can be found. This discovery has been extremely rewarding for the farm having regard to the efforts made by management and staff to conserve and protect threatened, endangered and indigenous species. The farm has three fire breaks all of which are maintained every two years. In addition to the fire breaks the farm brush cuts vegetation up to 15 meters around the road at the top of the farm close to the vineyards. Access roads are maintained and erosion is controlled and minimised as far as possible and the roads are maintained through the construction of “sumps” and certain staff has received accredited veld fire-fighting training in order to be prepared in the event of a bushfire erupting. Since 1990 the farm has grown from strength to strength in its conservation efforts. The area of the farm currently conserved is 299.29 ha in extent which accounts for almost a third of the farm and demonstrates the farm’s commitment in its endeavour to embrace and uphold its responsibility to the natural environment in which it is situated thereby unifying its existence with nature.